Do you ever look at your desk and think, “Ahhh! 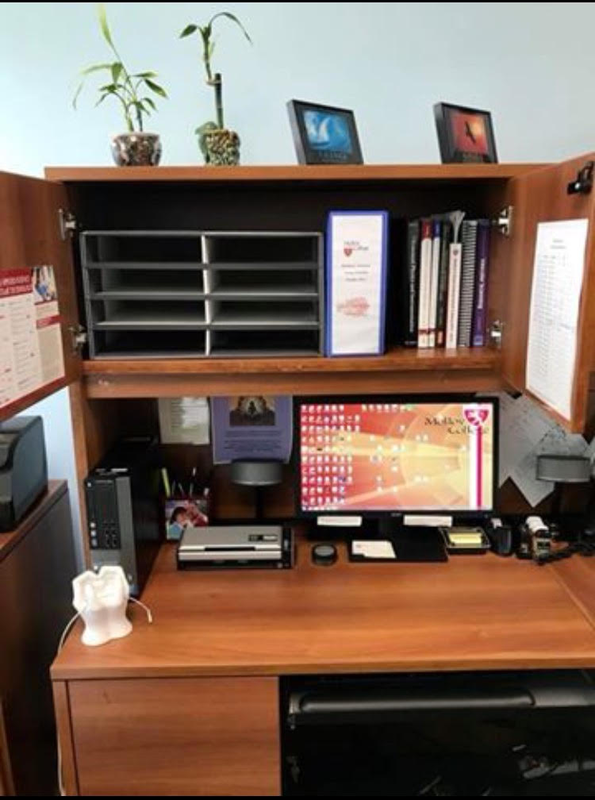 I don’t even know where to START!” When you have a ton of things going on, processing papers may be the last thing you want to do, but today we want to show you how EASY it is to clear the flat surfaces in your home or office—and keep them that way. We want to hear from you! Please let us know in the comments below: What kinds of things are sitting in your “piles”? I sat down with my daughter, Alia, and outlined on a paper how we would like to centralize account information for our community members to access easily, from their login. We started to build the system, but haven’t fully implemented it yet – it needs to be reviewed, and it needs to go live. So this paper needs to kept in a place where it can wait, until it’s the right time to work further on this project. At a conference Eric and I went to, we participated in mini “Hot Seats,” where we shared something we were working on with a group of eight other business owners. Our group discussed it, then created “love notes,” with additional ideas, thoughts, or things they wanted to reiterate, so we could have it written down to take home with us. These notes aren’t really a project, just something to do. I created some Valentine’s Day cards for my children, and Spencer hasn’t kept his, yet. I want to preserve it for him to look back on, when he’s older. At LearnDoBecome, we’re committed to helping you to get out of the overwhelm so you can architect a life of excellence, and so today—and moving forward—we’re preparing bite-sized lessons to help you learn the steps and systems that will TOTALLY CHANGE YOUR LIFE. ● Is your email inbox to zero, yet? 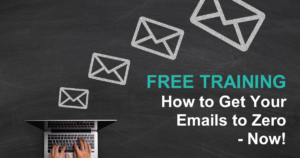 If not, we’re also including a link to participate in our free training to get your emails to zero in about 90 minutes! I have no excuse for piles. I’ve been a Learn Do Become enthusiast for a few years. I get hung up on things like getting out materials to write cards, then get distracted or pulled away. I there is a pile. I pull out Bible study notes to study and forget to put them away. I get something in the mail and it sits on my desk until I make a decision. I print things to read and then don’t feel like reading. Piles accumulate due to indecision. I need to keep practicing what you teach. Things seem to pile up unexpectedly and then it feels overwhelming to try and attack it. I think for me so far one of the best things about Learn Do Become is simply that there IS a system… so even if things get out of control for a while, there’s a framework I can come back to which REALLY helps minimize the amount of mental energy it takes to get things back on track. Previously it was exhausting just to trying to come up with a system (and have enough faith in it), in the midst of all the mess. 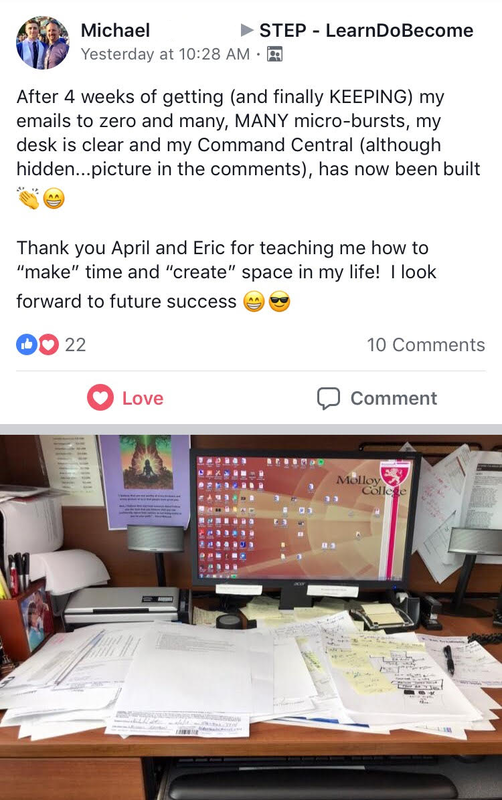 Thank you so much April and Eric for doing the hard work for us. Thank you, Ros!! That means so much. I love how you worded that. 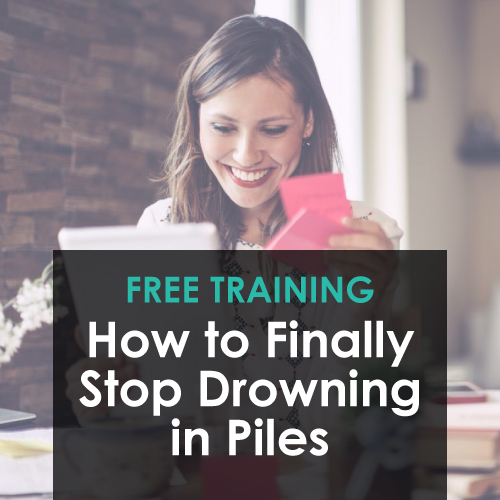 It’s true–the mental energy required to clean up the piles is so minimal now that there’s a system. Love that this is helpful for you!! This was super helpful! I have such a hard time processing my inbox. I dread it so much, I’ve touched it once since I started my step program in November. I just started working from home and the company I work for uses Asana. I’ve been trying to figure out how to apply my the steps to my work, using Asana. Is there any way April can do a quick demo on how she integrates Asana? Or maybe even a screen shot? I appreciate all you guys do! Hi Julie! Thank you for your kind words. We’re glad you enjoyed this post. April shares a lot about how she uses Asana in this post here: https://learndobecome.com/episode15/. I hope it’s helpful to you! Thank you! Do you use a scanner and then file papers into folders in your computer? I’ve started to do that, but I am ending with a myriad folders. help? Hi Marta! It’s a great idea to store important documents through scans on your computer. I would caution not to over-complicate the process. Having one general folder for each subject would be a good fit instead of 20 folders with 20 subfolders . Here is an example: Home, Work(Vocational), Hobby, Avocational, Heath, Recipes etc. would be good folder headings. Then each document would just be a file within the folder. I would also suggest using Evernote for this type of situation. Folders are “Notebooks” and files are “Notes” You can simply upload the photo/scan all into one Notebook this way, and then there is no fear of losing them digitally. It’s great having access to important items even when away from home! I literally love listening to April every day because it makes me so happy to hear her voice and all of the good information that she gives. 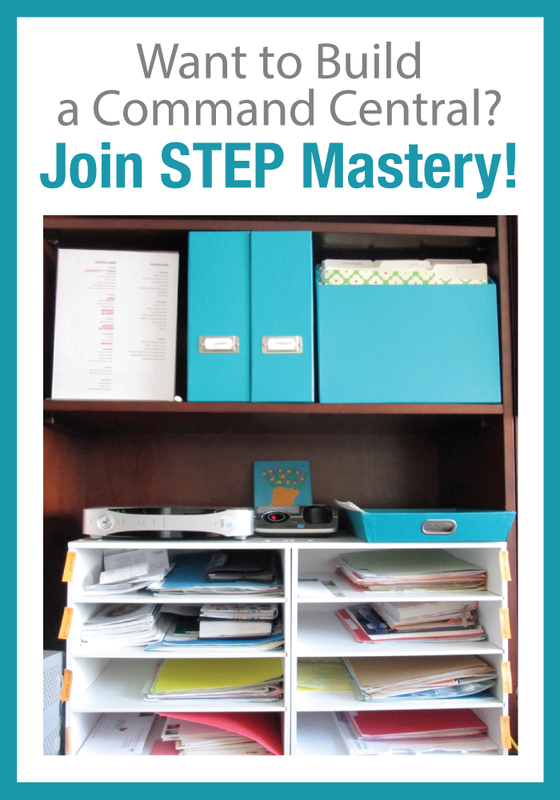 Becuase of a home situation, it is taking me longer to totally implement the master STEP program, but I’m almost there and I have have loved it all! Now I am researching HOW to use Evernote beyond making notebooks and notes, now that I’ve finally decided to download it. Yeay! Michelle, thank you for your kind words! We’re glad you’re here and are so proud of you! Keep up the good work and enjoy the process!